My love for old time traditional jazz stems from my late father Derek, who introduced me to this wonderful genre of music back in the 1970's. 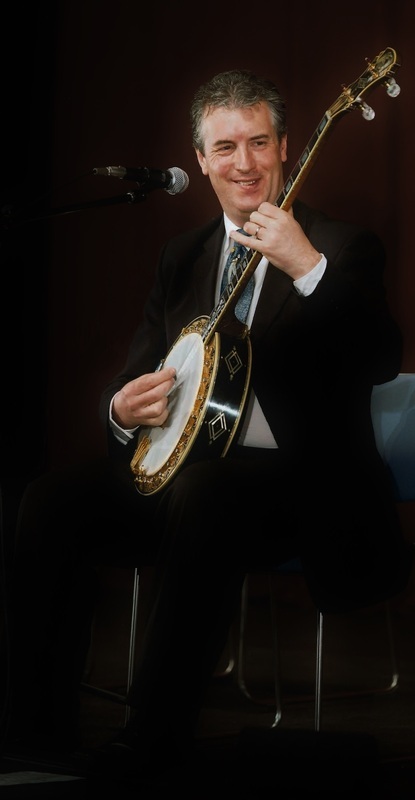 I then went on to make playing banjo my full-time career and have made music with some of the best in the business in Europe, America and Japan. In the last 20 years or so I have performed in countless jazz festivals, clubs and concerts alongside such notables as Kenny Ball, Acker Bilk and the Pasadena Roof Orchestra, with whom I have a twenty year association as banjo/guitarist and under-study singer. Sean Moyses and Pete Allen. "Happy, Upbeat and Fun!" Unique on the jazz scene, Pete and myself are a self-contained jazz duo, covering Dixieland Jazz to American Standards. Our rhythm section comprises of modern, custom made digital playbacks and we use a fantastic Bose P.A. system for the highest sound quality. Smart, reliable, entertaining and professional. A jazz-band tailored to your budget. Quartet to six piece band. Email me here.